No Indian meal is complete without a dollop of mouth watering chutney on the side. Chutneys pep up the meals even if the meals are simple and bland. Chutneys have graced the Indian table since ancient times and descriptions of these gastronomical delights have been found in the earliest Indian chronicles. Every family has its own chutney recipe that has been designed or tweaked to suit the palate. These recipes are passed on from generation to next like a legacy, and often guarded like a secret. 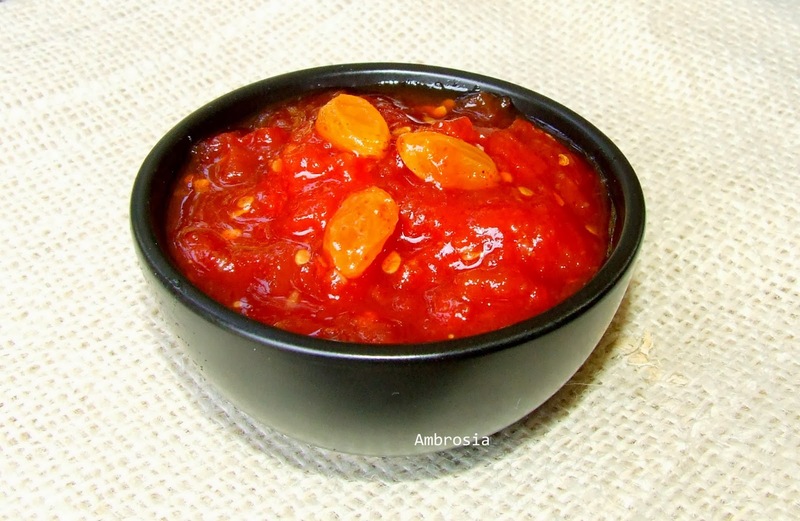 Here is our family recipe of Tomato Chutney and I have no qualms in sharing it. 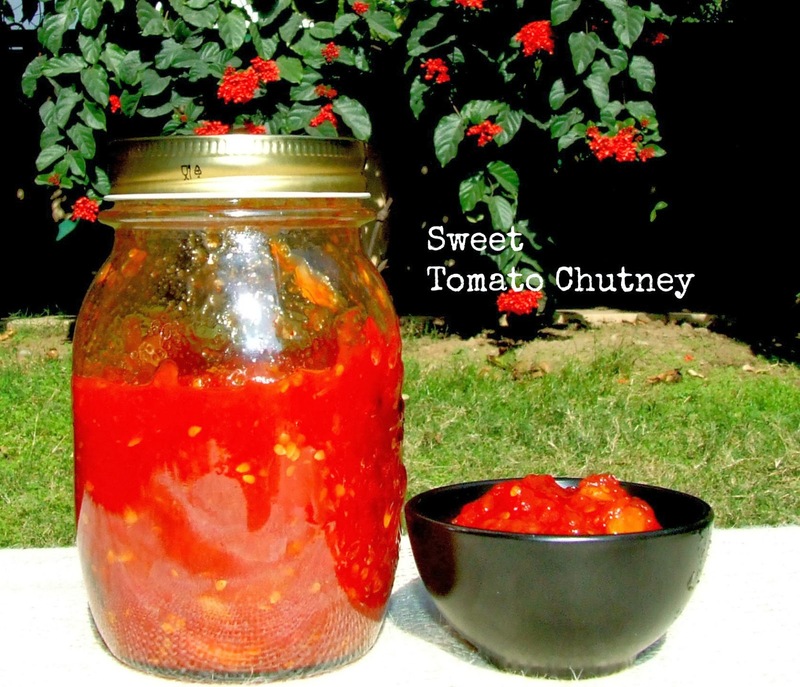 My grandmother used to make this chutney from home grown tomatoes. My mother carried forward this recipe and made some changes to suit her preference for spicy taste. She added red chilli powder. My grandmother used to love raisins in chutney and my mother added melon seeds instead. I made the same chutney with both raisins and melon seeds. I have added very little chilli powder. Wash the tomatoes. Peel them. Or, blanch them in boiling water for 3 to 4 minutes. Peel and chop them into very small pieces. Put the chopped tomatoes in a thick bottom steel wok. Add all the ingredients except melon seeds. Cook on low heat. Keep stirring from time to time, till the mixture thickens. Turn off the heat. Add melon seeds. Let the mixture cool. Ladle into a clean dry jar. Allow to mature for 2 days. This so much reminds me of the Bengali version of this lovely tomato chutney which I love to pair with my Rajma Chawal. The only difference is that they add Panchphoron to it. Hi what is the shelf life of this chutney?? Hello! If the bottle is sterilized properly and if you use a dry spoon to take the chutney, it lasts for a month. But since it does not have preservatives, i refregerate it. The chutney is so yummy, it does not last much.